Learn the facts about prescription opioid misuse and heroin use. 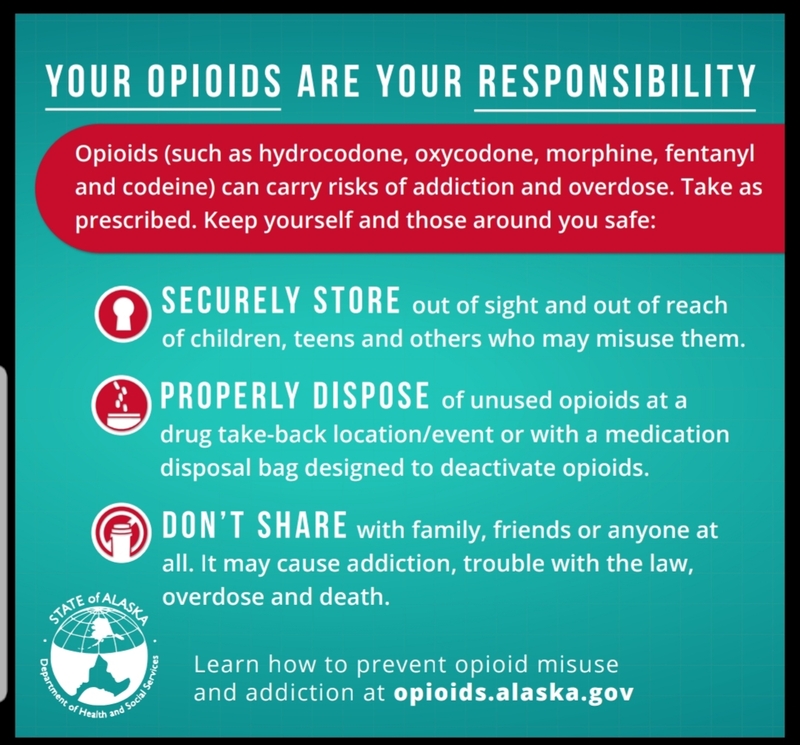 Learn the risks of opioid misuse. 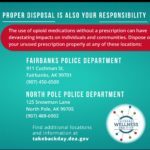 Safely dispose of unused prescription drugs by using a home disposal bag, turning them in to a year-around site, or during National Drug Take Back Day (October and April). Securely store those drugs you are currently using. 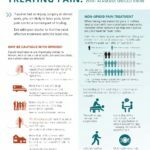 Talk to your doctor about safe use of prescription opioids and alternatives. Opioid Misuse impacts everyone in our community. In fact most local people in recovery got their first prescription opioid from their friends or family. 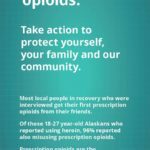 Of those 18-27 year old Alaskans who reported using heroin 96% also reported misusing prescription opioids. We believe that by preventing prescription opioid misuse in youth we can then prevent heroin use in our teens and young adults. What can you do to protect yourself, your family and our community? 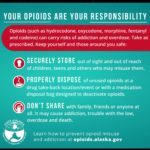 Dispose of your unused prescription opioids. 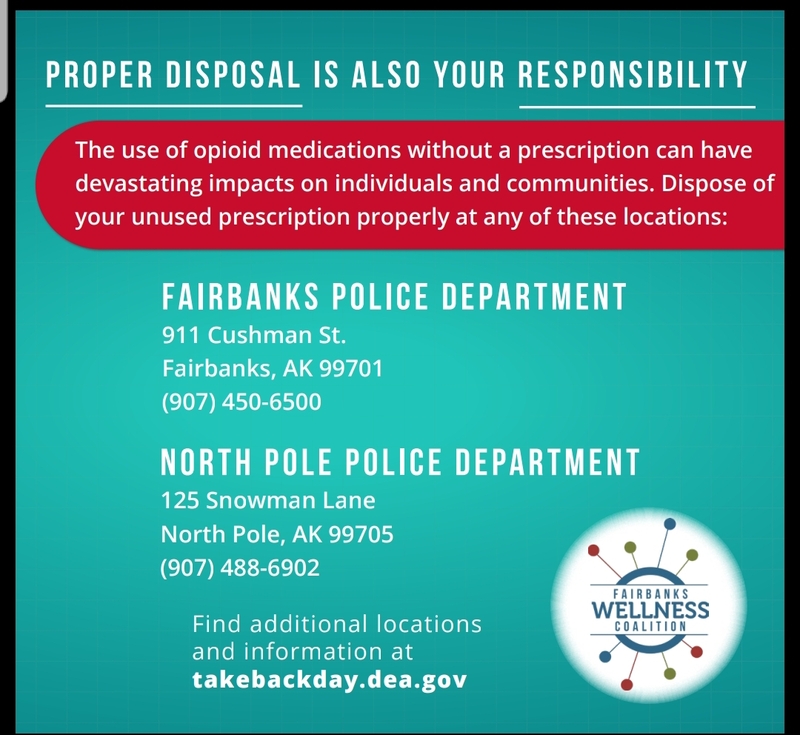 Our community has many year round Drug Take Back Collection sites such as the Fairbanks and North Pole Police Department. See our rack card for the most up to date list. Store your opioids safely and securely. Consider adding a lock to a cabinet in your home, or purchase a locking device. Talk with your medical provider if you are prescribed an opioid. 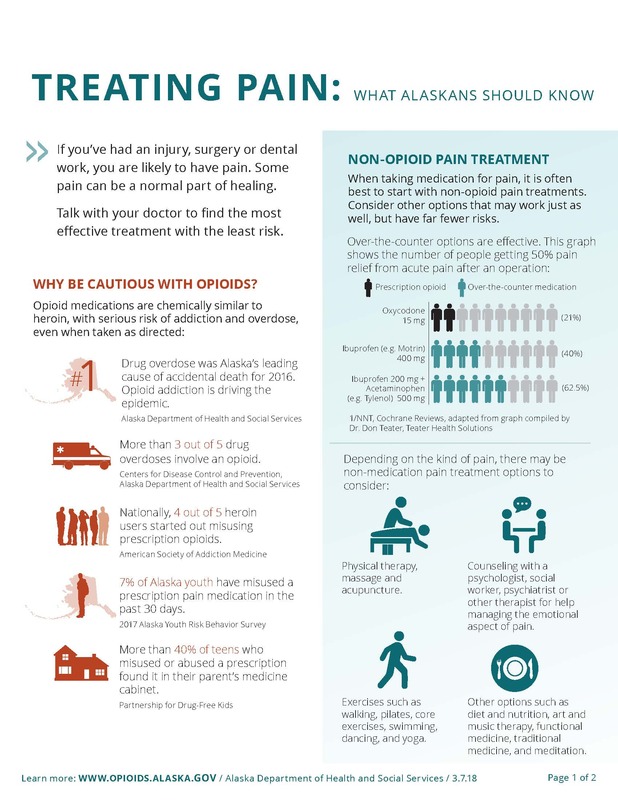 Check out our information tool, "Treating Pain: What Alaskans Should Know" to learn about questions to bring up if you are prescribed an opioid. If you are a provider and would like to distribute any of the printed resources below please contact us! If you or someone you care about is struggling with an addiction to opioids, there is help. 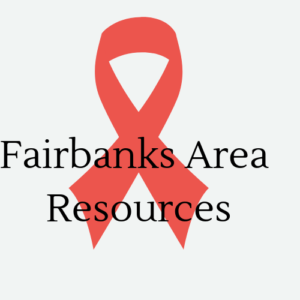 See the Fairbanks Area resources or call the Careline 1-877-266-HELP or text 4help to 839863 (textline available Tuesday - Saturday from 3PM - 11PM).